Race Tech Suspension is proud to announce The Race Tech Rising Star Award. All amateur riders competing in the 2014 MotoSport.com AX Tour are eligible. The winner will receive 1 year Factory Support including free Race Tech performance parts and labor and access to the top level of support from Race Tech. At the conclusion of each round for the first 10 rounds, Jetwerx and Race Tech will select aÂ Rising Star Award NomineeÂ from any of the amateur classes.Â A rider who shows they can overcome adversity and outperform expectations showing a promising future inside and outside the world of motocross will be selected.Â Prior to the final round, all nominees will then go through an evaluation by Race Tech and AX Tour staff and a winner will be announced at the awards banquet following the â€œHarrahâ€™s Shootoutâ€ finals on Feb 9th, 2014. Nominees at each round will receive a free Race Tech Gold Valve Kit and will be announced weekly in our feature on ArenacrossTour.com. “The Arenacross Tour provides an excellent platform for amateur talent to get their feet wet in front of a large crowd at a professionally run event, so we are confident that many of today’s top amateurs will become tomorrow’s leading professionals. Â We are excited to honor those amateur racers who show determination and promise on and off the track, and reward those riders with an unmatched level of suspension products and technical support,” said Race Tech’s Director of Marketing Chris Riesenberg. 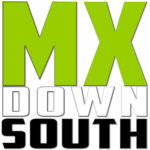 For more information about the MotoSport.com AX Tour, please log ontoArenacrossTour.com. Check out our website at:Â www.racetech.com.